If you are looking forward to watch movies at good quality and at reasonable price for tickets then Vaibhav Cinemas is exactly what you are looking for. 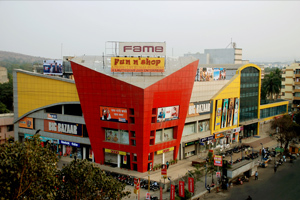 Vaibhav Cinema in Pune is known for its best audio and video system. The movie ticket doesn’t seem to be expensive so it catches the attention of student from college. It is mainly because of the price of the ticket that such a variety of crowd gets drawn to this theatre and is frankly very budget friendly and hence is a great and popular place for the youngsters to hang out in. there are always some movie buffs who are foodies too and love to grab a bite before or after the movies, now that’s not a problem here as it has good food court where movie lovers can enjoy their snacks and cold drinks. Going out for a movie definitely seems quite reasonable if you are considering the Vaibhav Cinema as this is the kind of place which has it all. This place has a low rate for tickets, great movies, good ambience, its own food court and all of these is just perfect and very appealing to all sorts of crowd. People have expressed their awesome experiences and have also encouraged others to watch movies in Vaibhav Cinema.